4-H Pet Shows Involve Everyone! Agents, parent volunteers, teen leaders, and 4-H members (even cloverbuds) can get in on all the fun. 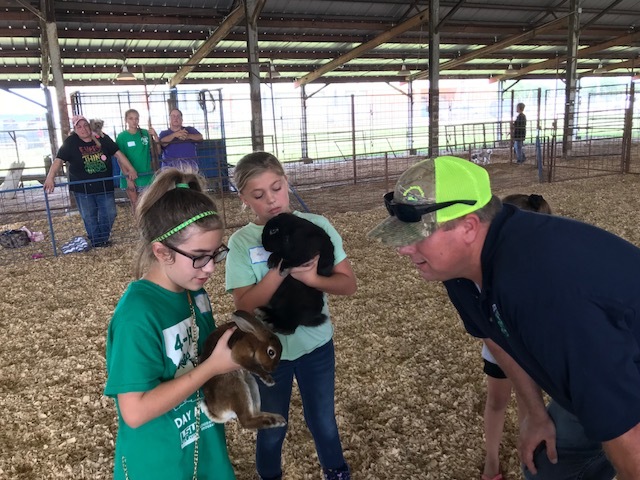 4-H Pet Shows provide a role for everyone and it’s a great way to spotlight a 4-H project in your parish. According to Michigan State University Extension pet ownership has many benefits for children which include valuable life lessons like responsibility, trust, compassion, respect, and patience. Almost all 4-H parish programs offer pet shows. A social gathering is a wonderful place for youth to experience pride in their pet where they can share tricks and experience a little public speaking. Pet shows promote good grooming practices, pet care, and teaches that pet ownership lasts the lifetime of an animal (10…15…18 years). Agents can extend learning at a pet show by providing stations where children learn about how to investigate breeds, how to keep a 4-H record book about their pet, and explore dog-related activities. Dogs, in particular, hold an important place and role in society. Service dogs, K-9, companionship, etc… Check out the Louisiana 4-H publications for youth to use when creating their record books. Companion Pets- 4-H SET Project Overview- Discovering the Animal in You! The 4-H pet project is a favorite and it’s a wonderful time of year to have a social gathering after school. If you have a chance, please read the MSU Extension article below.